Known for his unique style, veteran actor Shashi Kapoor was one of the most popular heroes of his time. The actor who has apparently been unwell owing to his age breathed his last today. However, the other details about his demise are yet to be revealed. Shashi Kapoor, who had undergone a bypass surgery couple of years ago, has remained unwell for a while. The actor, however had voluntarily resigned from films earlier in the late 1990s itself. 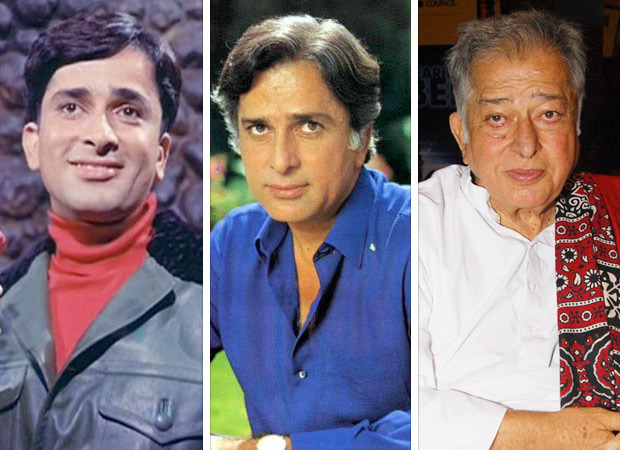 Being the brother of Raj Kapoor, while he already hailed from a film dynasty, Shashi Kapoor made his niche in films with not only solo films but also blockbuster multi-starrers. Known for his performance in films like Deewar, Kabhi Kabhie, Namak Halal, Jab Jab Phool Khile, Kalyug among others, Shashi Kapoor received the honour of Padma Bhushan in the year 2011. Talking about his personal front, he was married to actress Jennifer Kendal who passed away in 1984. He is survived by three children Karan, Kunal and Sanjana Kapoor. We at Bollywood Hungama extend our hearty condolences to the Kapoor family. May his soul rest in peace.